Hi! 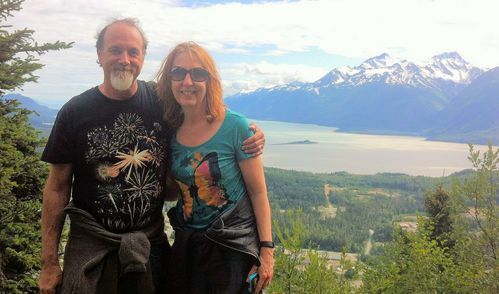 We're Mark and Julie Cozzi, and we live in Haines, Alaska, a small town in Southeast Alaska. Our little eclectic nature-related business is called Fun Guy Foraged Products. Since 2006, we have been dedicated to helping people enjoy what nature has to offer. 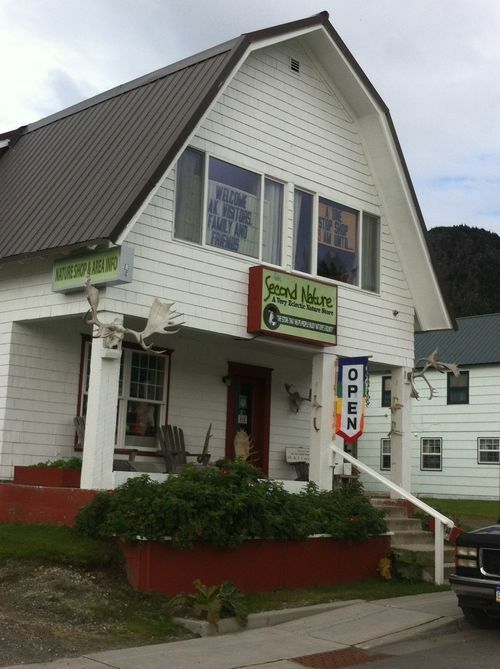 In 2010, we opened a retail shop called Second Nature. It is located on Second Avenue and is all about nature....get it?!? <smile> Another reason for the shop name is because we truly want to help people become familiar enough with foraging and enjoying nature that it becomes like second nature. foraged wild edibles, including mushrooms, berries, and wild plant teas; RAW honey; field guides covering wild plants, berries, mushrooms, sea life, wildlife, birds, survival, and hiking; foraging tools; survival items; nature-related gift items, bulk teas and accessories; and books to help people enjoy not only the forests, fields, mountains, and shores but also to help with gardening, raising poultry, fermenting vegetables and beverages, and making sourdough bread. In season, we locally-forage wild edibles, i.e. mushrooms, berries, and seaweed, and process them for our own use so we can help with questions our customers might have because of our experience. PLUS, if that weren't enough, tucked here and there throughout the store our customers will discover other treasures like vintage found objects, used/collectible books, and handmade nature-themed jewelry. We are dedicated to educating and encouraging our customers to get involved with foraging wild foods in a sustainable manner and providing information and tools to help individuals, families, and organizations be self-sufficient, healthy, and safe wherever they are. PLUS, we promote healthy living by providing healing Devil's Club teas, salves, and tinctures; medicinal and soothing teas; natural soaps, lip balms and lotions; natural deodorant; toilet spray; and many books about herbs and healthy living. Please come visit us to see what we have to offer, or shop online for many of the items we have in our store. We hope you'll contact us if you have questions.